Out of the ordinary and conventional routes, Italy is waiting to be explored! Set in a beautiful Mediterranean setting, bathed by three seas and sun-drenched all the year round, Italy is a land where the great art cities coexist with picturesque medieval villages, charming sunny beaches and white snowy slopes, deep valleys and rugged cliffs overlooking the sea. A suggestive place that captured the attention of the most important artists in the world over the centuries, universally recognized as synonymous with art, culture, good food and taste. Multifaceted Italy, ever changing, never boring! The succession of different dominations during the centuries made unique every corner of this peninsula: all the artistic styles are enclosed in little more than 300.000Kmq. The contagious joie de vivre of the Italians, their love for cooking and passion for good living are the hallmarks of a people who will welcome you with his innate sense of hospitality, leaving you the surprise to discover a territory to live in! Every Italian region is a world unto itself, with its own characteristics and peculiarities. Valle d'Aosta, ideal destination for winter sport lovers, with the splendid slopes of Courmayeur and Cervinia, the Alps and scenic mountain trails, the manors (Fénis, Issogne, Sarre, Saint-Pierre, Sarriod de la Tour, just to name a few) and the remains of the Roman city of Augusta Praetoria. Piedmont with the sumptuous royal residences of the Savoia family, located both in Turin and in the surroundings, the Mole, the Egyptian Museum and the Holy Shroud; the Sacred Mounts, masterpiece of religious architecture, the Sestriere ski resort, the National Park of Gran Paradiso, the Piedmont shore of Lake Maggiore, not to mention the superb red wines (Barolo, Dolcetto, Nebbiolo, Barbera, Barbaresco, Gattinara, Freisa), the hazelnut of the Langhe (the main ingredient for gianduiotti) and vermouth. Lombardy is a region rich in different and equally fascinating views: mountains, plains, lakes (Como, Garda and Iseo) and ski slopes (Valcamonica and Valtellina), as well as beautiful cities, treasure trove of architectural beauties, such as Milan, with the Castello Sforzesco, the Cathedral, the La Scala Opera House and the famous Last Supper by Leonardo Da Vinci in the Church of Santa Maria delle Grazie, the Royal Villa in Monza, the Monastery of San Salvatore in Brescia, the tradition of violin making in Cremona, the beautiful villas in Como and Mantua, city of the Gonzaga family. Trentino Alto Adige, with the monumental natural setting of the Dolomites, the Gothic-Austrian style architectures, the mountain trails with stunning views, the numerous castles (Castello del Buon Consiglio, Castel Tirolo, Castel Roncolo, Castel d'Appiano, Castel Beseno), the typical masi (farms) where you can enjoy local dishes and the famous ski resorts of Madonna di Campiglio, San Martino di Castrozza, Val Gardena and the Marmolada. Veneto, suggestive and fascinating land, rich in both artistic and natural attractions: the Dolomites, with the ski slopes of Cortina d'Ampezzo, the Palladian villas, the Lagoon of Venice, with its spectacular palaces that recall the glories of the Serenissima, the Basilica of Sant'Antonio in Padua and Verona, the city where Roman architecture coexists with medieval and Renaissance style art, made famous by Shakespeare's tragedy of Romeo and Juliet. This region also produces excellent wines, including the Amarone della Valpolicella, Bardolino, Soave, Prosecco di Conegliano-Valdobbiadene and grappa. Friuli Venezia Giulia, middle European region that boasts, among its beauties, the Roman city of Aquileia, Trieste, with its cafes and buildings in Neoclassical style, Gorizia and Udine, the picturesque towns of Cividale del Friuli, Grado and San Daniele. The beautiful beaches of Lignano Sabbiadoro worth a visit as well as the Friuli mountains, from the Dolomites to the Carnic Pre-Alps and Alps. Liguria with over 300Km of coastline where you can find jewels of rare beauty, such as the Cinque Terre, Gallinara and Bergeggi; Genoa and the magic atmosphere of carruggi (alleyways) that characterize the whole historic center of this Ancient Maritime Republic, the aristocratic palaces and the Aquarium designed by Renzo Piano. Extra-virgin olive oil is the undisputed master of the Ligurian cuisine, the main ingredient of all culinary delights, from the pesto to the first dishes (trenette or ravioli of borage), from fish soup to meat dishes, from the traditional focaccia to the thin chickpea farinata. Emilia Romagna, rich in strong and refined flavors. In this region are produced some of the most famous delicacies, representing the symbol of Made in Italy abroad: Parmigiano Reggiano, Grana Padano, Prosciutto di Parma, mortadella, tortelloni and ravioli, served with a glass of Lambrusco, Barbera, Sangiovese or Trebbiano. There are numerous cities of art, deserved to be visited, such as Bologna, with its beautiful arcades, the Torre degli Asinelli and Basilica di San Petronio, Ferrara, splendid Renaissance style city, Modena, home of tortellini, with the Romanesque style Cathedral and the famous Ghirlandina, Ravenna, with its churches rich in mosaics in Byzantine style, and Faenza, worldwide known for the production of ceramic, dating from the XIII century. Toscana, a region to live with a wide tourism offer. Art lovers can enjoy the city worldwide considered as the center of Italian culture: Florence, cradle of the Renaissance, with the Duomo and Giotto's belltower, Santa Maria Novella, Palazzo Pitti and Palazzo Vecchio, Ponte Vecchio and Uffizi Gallery (just to name a few); Siena, city that preserved its own Medieval structure over the centuries, with the Duomo and Piazza del Campo, home of the traditional palio; Pisa and its Leaning Tower, the medieval town of San Gimignano and the Renaissance style one of Pienza. The beautiful rolling hills of Val d'Orcia and Chianti area worth a visit as well as the seaside resorts of Viareggio, Forte dei Marmi, Porto Santo Stefano, Porto Ercole and the Tuscan archipelago. Marche, with its beautiful cities of art, noble palaces and medieval villages where time seems to stand still. The medieval style Ascoli Piceno, the Renaissance style Urbino and Ancona, with the Cathedral of San Ciriaco, are just some of the cities that can be visited by art lovers. The Riviera del Conero is the best destination for beach lovers, due to its high and rugged coastline, clean sea water rich in fish species. The Park of Gran Sasso and Monti della Laga, as well as the National Park of Monti Sibillini, offer natural sceneries of rare beauty. Umbria is the Italian region where art and nature live in harmony, creating unique landscapes that convey peace and serenity to visitor. It's the land of St. Francis and everything here seems to speak about the patron saint of Italy: from the Basilica with his tomb to the Hermitage of the Carceri, located not too far from the city walls, where he usually retired in prayer. Other splendid cities are: Gubbio, with the Palazzo dei Consoli, the Cathedral and the Doge's Palace, Orviteto, with its magnificent Gothic style Cathedral, and Spoleto with its Medieval and Renaissance style architecture. Not to be missed are the Marmore Falls, near Terni, and the Norcia salami. Abruzzo, with its stunning mountain scenery and trail raids along the paths of the Park of Gran Sasso and Monti della Laga and the National Park of Abruzzo, Lazio and Molise. The Medieval cities of Chieti and Teramo still preserve architectural treasures of rare beauty. L'Aquila, situated on the slopes of the Gran Sasso Mount, boasts the largest numbers of works of art (many of them heavy damaged after the earthquake of April 6, 2009), such as the Basilica of Santa Maria di Collemaggio, the Basilica of San Bernardino, the XVI century castle and the Fountain of 99 spouts. On the coast, with its sandy beaches, stands Pescara, preserving the memory of the poet Gabriele d'Annunzio. 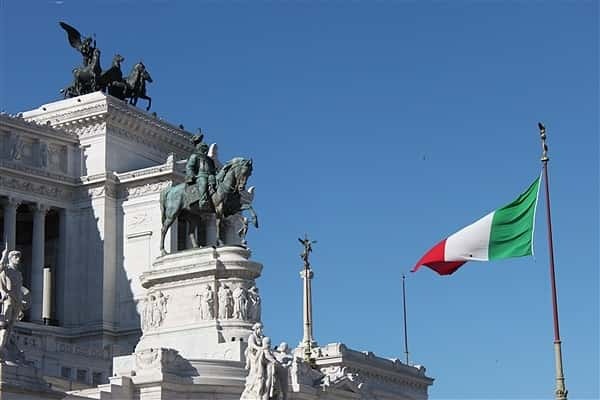 Lazio is the cradle of the Western civilization and encloses in one city, Rome, an immeasurable artistic heritage, dating back from the Roman period to the Medieval one, from Renaissance to Baroque, from Neoclassical to Modern times. In addition to Rome, many other cities worth a visit, such as Ostia, with the remains of Ostia Antica, Hadrian's Villa and Villa d'Este in Tivoli and the Castelli Romani. The ski slopes of the Terminillo, the National Park of Circeo, the thermal spas of Fiuggi, Tivoli and Viterbo, Lazio lakes (Bracciano, Albano, Nemi and Bolsena), the Pontine islands (Ponza, Ventotene and Palmarola) and the Ciociaria area with its villages full of charm, represent only a part of the tourist offer of this region. Molise is a region where you can still breath a times past atmosphere: a mainly mountainous landscape crossed by the typical "tratturi" (sheep tracks), the transhumance routes linking the pastures of Abruzzo to those of Puglia. The most important cities, rich in architectural treasures (Campobasso, Isernia) coexist with charming villages, such as Agnone, Sepino, Larino, Pietrabbondante, Venafro and Termoli, as well as the ski resorts of Campitello Matese and Capracotta. Campania is a land to live for the mildness of the climate, the beauty of the coast, history, art, culture and cuisine. Departing from an imaginary journey to the discover of the Campania coast, we would be immediately captured by the savage beauty of the Cilento, the Amalfi coast, with its heady scent of lemon and orange blossoms, the Sorrento peninsula and the islands of Capri and Ischia and the coast of Naples. The Greek temples of Paestum, the Roman ruins of Pompeii and Herculaneum, Caserta Royal Palace, Padula charterhouse, the historic center of Naples, Benevento, Salerno and the Phlegrean Fields are just some of the places of this region rich in architectural treasures. The Irpinia wine, mozzarella, pizza, limoncello, dessert (sfogliatella, babà, pastiera) will delight your palate. Basilicata is a timeless charm region where nature, fresh air and genuine flavors live together in harmony. Charming villages preserve the evidences of their past, such as Matera with its cave churches and the famous "sassi". maratea, known for its beautiful coastline, crystal-clear sea and the statue of Christ the Redeemer, is a popular seaside resort of the Gulf Of Policasto, as well as Metaponto (ancient Greek colony) and Policoro, the latter located on the Jonian coast. nature lovers cannot miss the opportunity to organize an excursion on Mount Vulture, an ancient extinct volcano, covered by a luxuriant vegetation, or Monticchio Lakes. Puglia is the region of the picturesque Trulli of Alberobello, the Medieval architecture built during the reign of Frederick II of Swabia (Castel del Monte in Andria, for example), the stunning Baroque style palaces in Lecce, the untouched nature of the Park of the Murgia and the Park of Gargano. But Puglia is, above all, crystal clear sea and beautiful coastline that offer different landscapes to visitor: the Tremiti islands, Gallipoli, San Cesario, Otranto, Santa Maria di Leuca. Puglia cuisine is one of the sunniest in Italy: extra-virgin olive oil, Altamura bread, fresh handmade pasta (orecchiette and strascinati), fish dishes, cheeses and salami will delight your palate. 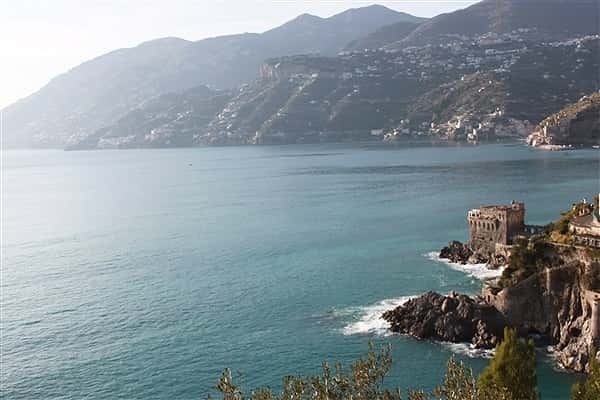 Calabria, bathed by both the Tyrrhenian and the Jonian Sea and separated from Sicily by the Strait of Messina, is a region rich in remains dating from the Magna Graecia period, just think of the many settlements located along the coast or the famous Bronzi di Riace. With its 800Km of coastline, characterized by crystal-clear sea water, beautiful sandy beaches and charming sea beds, Calabria is the ideal destination for the lovers of sun, windsurfing and scuba diving. Untouched nature, dense forests and rivers characterize the hinterland, especially the Aspromonte, Pollino, Sila and Serre. The Calabrian cuisine is perfect for strong palate: ‘nduja, sausages, red pepper and red onion from Tropea are the most famous products of this land, as well as licorice, bergamot, cedar and extra-virgin olive oil. Sicily, sunny and exciting island, that offers a wide range of tourist routes: from the sea to mountains, from the islands to hilly villages. Etna, symbol of Trinacria, with its stunning performances of lava, the many islands that surround it (Aeolian, Egadi, pelagie, Ustica and Pantelleria), the wild Alcantara Gorges, the Valley of the Temples in Agrigento, the sinuous Baroque of Val di Noto, the Greek ruins of Taormina, Segesta, Siracusa, the Roman Villa del Casale are just some of the suggested itineraries. It is also one of the richest regions in Italy for traces of the past, due to the several dominations that characterized its long history. Sicilian cuisine is solar and dynamic, made of genuine flavors that, in many cases, recall the Arab or North-African culinary tradition: the street-food (croquettes, bread with spleen), fish couscous, pasta alla norma and eggplant parmigiana, almond pastries, oranges, Pachino tomatoes, the capers from Pantelleria, the grapes from Canicattì, the prickly pears, the pistachios from Bronte, the Modica chocolate, Marsala wine, Nero d'Avola wine and the raisin wine from Pantelleria. Sardinia, set in the center of the Mediterranean sea, is a pearl surrounded by crystal clear sea water and beautiful beaches, unspoiled nature, coves and grottoes (the Costa Smeralda, La Maddalena, Santa Teresa di Gallura, San Teodoro, Poltu Qualtu, Baia Sardinia, Spiaggia La Pelosa, la Grotta del Bue Marino, Cala Biriola, Cala Goloritzè and Cala Liberotto, just to name a few). The hinterland, indeed, is characterized by a still wild landscape, especially in the Gennargentu area, rich in ancient culture and traditions that make Sardinia a world unto itself. The symbol of this region are undoubtedly the Nuraghe, ancient stone buildings, representing the best megalithic monuments in Europe.